Storytelling in games has always been pretty difficult. I mean, it has to be hard to justify your protagonist getting shot or beat on all day and being shot by a magic bullet that takes them down. 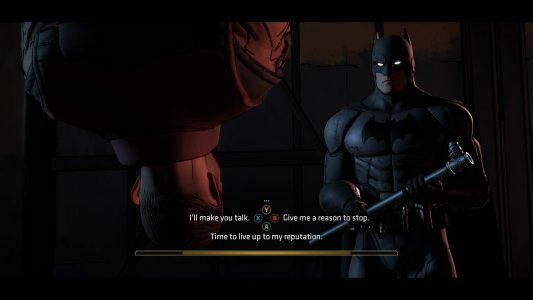 While some games have opted to have more well written stories and big production cutscenes, Telltale decided to remove most aspects of gameplay with full emphasis on the story and your choices within it. They’ve been regarded as the best developers of story driven games, but recently it seems they’ve lost their groove. I’ve gotten tired of the Telltale formula, but I’ve only gotten tired of it from Telltale. 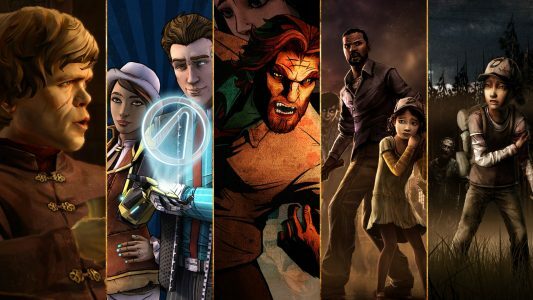 Many story-driven games, even inspired by Telltale, have surpassed the studio in quality stories and player choice. Let’s talk about it. The first issue I have is game mechanics, which is a very common complaint of the Telltale games. Whereas story-driven games these days such as Life Is Strange have mechanics that add to the story of the game, Telltale games only offers QTEs that have often proven to be there just to be there. There are quite a few QTEs in Telltale games that have the same end result whether you hit the correct button on time or not. Sometimes it’s just there to be there, only progressing the game if you hit it. One of the biggest issues with this is that Telltale has been selling essentially the same game multiple times in terms of game mechanics, which has gotten tiring over time. Occasionally even taking away mechanics such as the point and click, figure out your way out type of gameplay we got in the first season of the Walking Dead which is nowhere to be found in season three. A way to remedy this could be to add more unique elements to each series so they don’t all feel so samey. 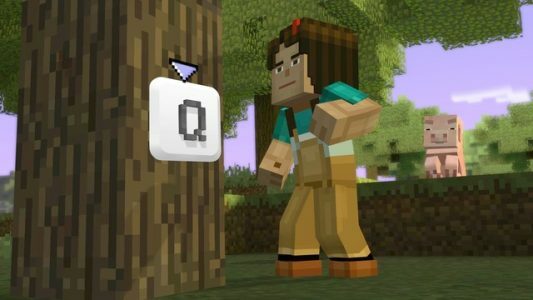 Tap Q or stand there for the rest of your life. The other knock on the Telltale games is the most essential part of choice-based storytelling. We need choices that matter. The games writing themselves into corners could be attributed to how many games they keep pushing out, but oftentimes, we get seemingly pivotal choices in these games that ultimately lead to the same end result. Let’s take Walking Dead for example (SPOILERS if you haven’t played Walking Dead Season 2). In the second season, you get the choice between leaving a girl named Sarah to die in a trailer getting overrun by zombies or knocking her back into reality and getting her to come with you. What is to be assumed is that she stays alive throughout and is a factor to the rest of the story. What actually happens is she’s rarely focused on, has very few lines, and unavoidably dies anyway. What was the point of saving her? (Spoiler ends here.) While game mechanics can be excused, the fact that a story-driven game that advertises choice fools you into the illusion of choice is ridiculous. Other games have excelled in this aspect, offering several story branches and multiple endings to their game. Let’s use a game called Oxenfree for example. Based on the way the conversation chains work, you can change all kinds of aspects in your story. Multiple playthroughs will offer you different conversations, multiple different endings, and a new game plus that has a huge effect on the story and the endings. I would prefer Telltale to spend more time on their stories, honing their writing and creating more outcomes for their choices, it’s disappointing finishing a game to go back and play with starkly different choices getting the same results. These are literally getting the same message across. Telltale, you were the pioneers of story-driven experiences at one point, you can definitely come back with another standout title that garners critical acclaim like the first season of Walking Dead. Hopefully these new seasons you’ve announced show improvement, especially ending the Walking Dead series after the extremely disappointing third season. What do you guys think of the Telltale games? Are you excited for the new seasons coming out in the next year? Let us know below! Stay tuned to Fanbros for more gaming opinions, gaming news, and all things geek.